FCCLA stands for Family, Career, and Community Leaders of America. Our goal is to promote personal growth and leadership development for students across Nebraska and the United States. 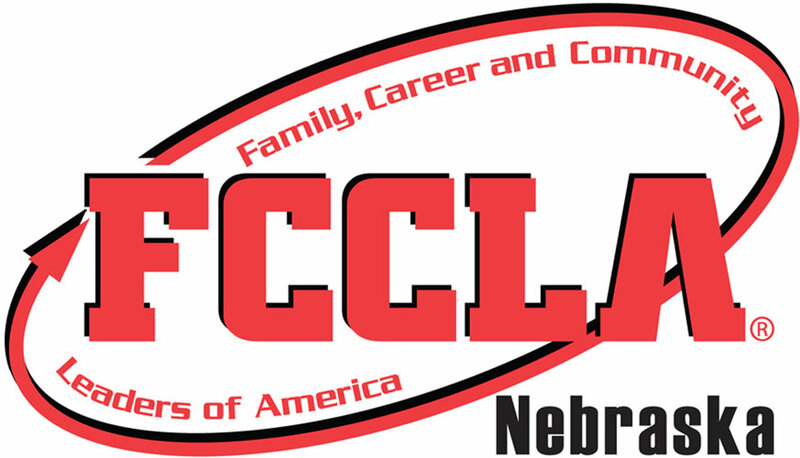 Since its founding in 1945, FCCLA has impacted over 9,000,000 youth throughout the United States, and currently reaches over 3000 members in chapters throughout Nebraska. FCCLA is the only career and technical student organization with the family as our central focus. Students in our organization gain valuable skills they can use to improve the world around them as well as prepare them for their futures as family members, wage earners, and community leaders. Exposure. Marketing opportunities to 3,000+ affiliates state-wide, and 1,300+ annual State Conference attendees in Lincoln – including parents, school staff, and administration. Access. You are getting your message out to the best of the best – our next generation leaders. Service. You are providing funding to complete many community service projects that improve your community and state. As a 501 (c)(3) organization – your contribution to FCCLA is tax-deductible.